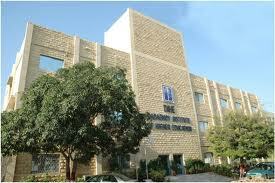 Established in 2000, Dadabhoy Foundation has two campuses located in Karachi. The Institute has received an award form Government of Pakistan on “The Best Book of the Year”. A business and Technology institute offering undergraduate and postgraduate education. The campus offers teaching and research facilities, including research labs, lectures and seminar rooms, computer labs, a library, an auditorium, a common room for girls, a cafeteria, and an open area for outdoor activities. By 2010 DIHE established a fully fledged campus spread over 250 acres of land, housing most of the faculties allocated to the Institutes in the charter, with the student population between 5 to 8 thousand. DIHE is ranked as a top grade educational institution and also as a “W” (A) grade educational Institution because of its well designed academic programs, appropriate educational facilities, high class foreign educated PhD faculty and state-of-the -art facilities. Main Things You Need To Include In Your About Us Web pages! Several Things You Have to Include In The About Us Pages!